Skylands, Martha's home in Seal Harbor, Maine, has only been owned by three families in its 86-year history. 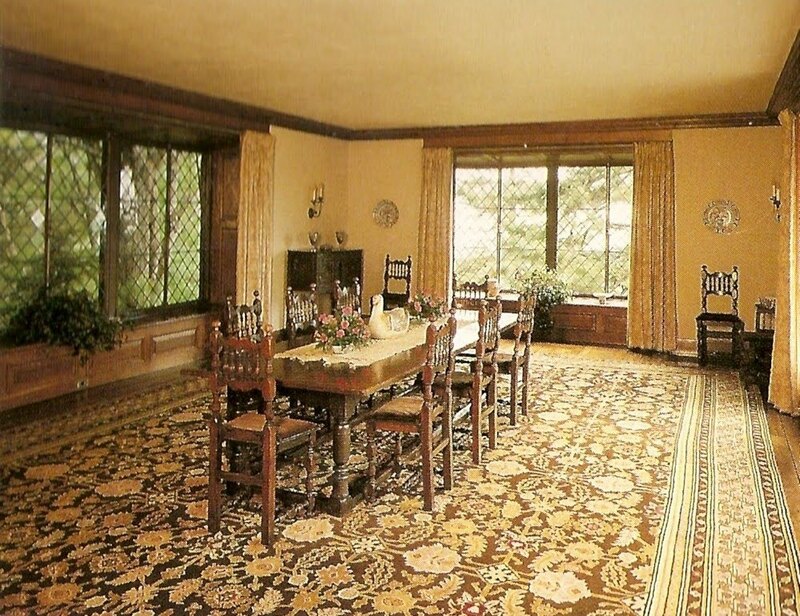 Designed and built for Edsel Ford and his family in 1925, it was sold to Edward Leede and his family in the 1970s who put the home up for sale in the early 1990s. 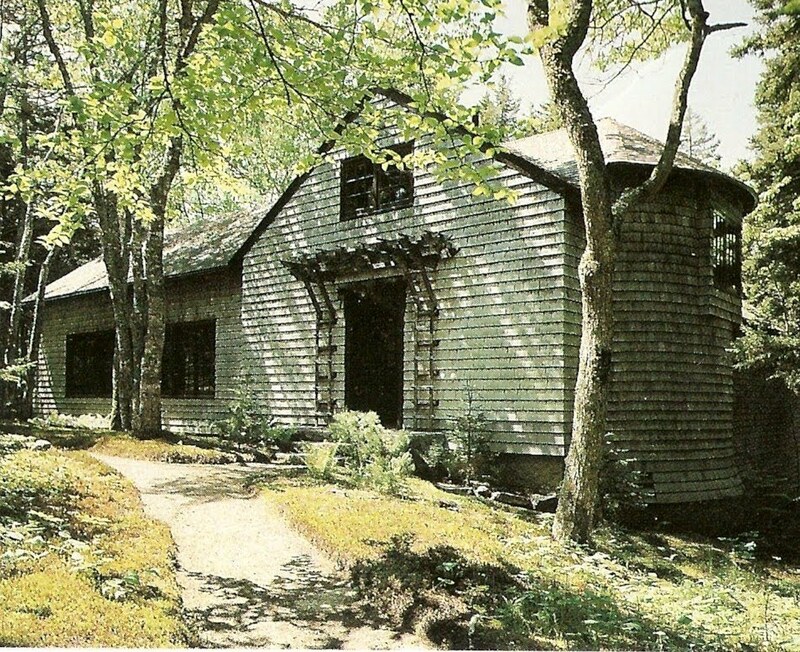 Martha purchased the home in 1997. 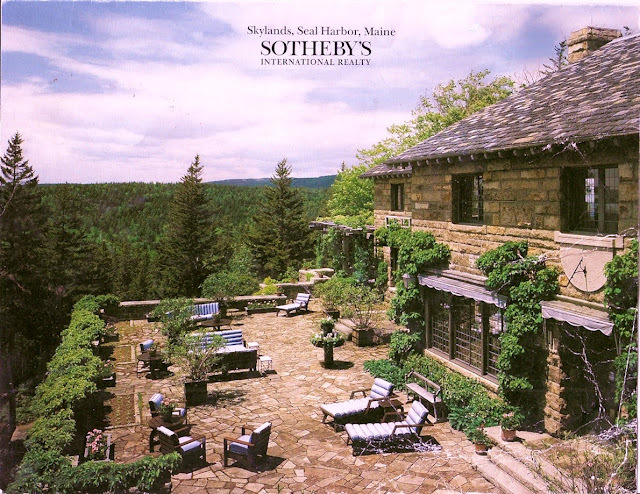 The photographs of Skylands in the catalog depict a home that was caught in something of a timewarp. Much of the furniture in the house is original, dating back decades. 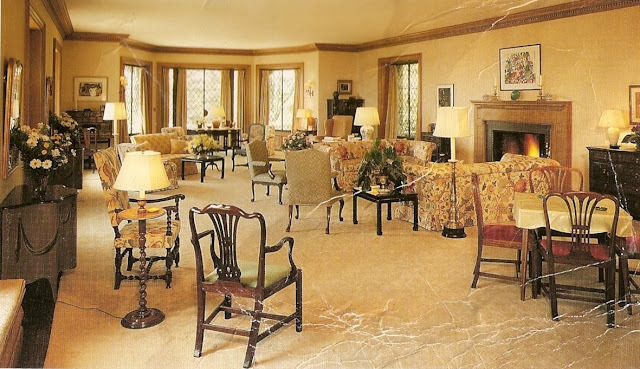 The Leedes also periodically used the same decorator the Fords used, a Palm Beach firm called Jessup Inc., to design the interiors. When Martha bought the home, the furniture was still there in all its old upholstery. Martha kept much of it, revamping, refreshing, reupholstering and redesigning it to suit the times and her own tastes. How wonderful it would be to have this catalog! This aerial view of the terrace, used on the cover, demonstrates how expansive it is. 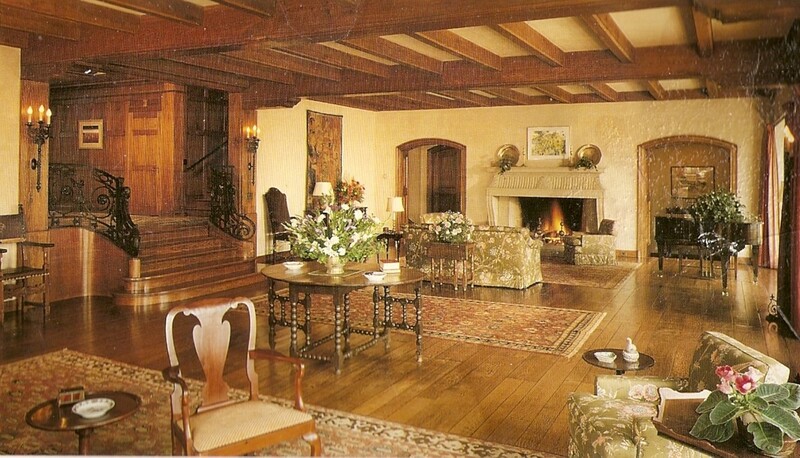 The Great Hall at Skylands: Outdated decorating can't hide the timeless architecture! Look at this space! I'm sure Martha saw the potential right away. This is the formal living room (30 feet by 50 feet), as it appeared in the early 90s. The dining room with its three-sided views. A photo of the Playhouse, which features its own indoor squash court. How nice your blog readers are, Andrew, to alert you to this gem! While obviously somewhat dated, some of it doesn't look too bad, and as you said, it is the good bones of this home that give it its timeless beauty. thanks for sharing! Fantastic! Absolutely fantastic. You are right, the photos show what a timeless house it is. How interesting to see these past photos. I enjoy your blog on Martha Stewart and am going to poke around more. So many people are anti-Martha but as a stay at home mom, she made me more accepting of my role. And...I love being a mom and homemaker! I love your blog! First time posting! Hi Anonymous! Welcome! No, the playhouse is a separate structure from the guest house. The playhouse has a large gathering room with a huge stone fireplace and some indoor squash courts.